2019 marks the fifth year of the SHAPE initiative, a platform run by a union of 16 European festivals - including CTM and Unsound - which aims to support up-and-coming DJs, producers and performers based around Europe. 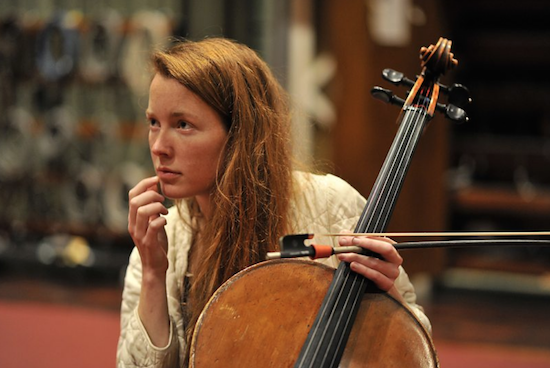 The list of artists participating in the initiative next year has now been announced, and amongst them are Lucy Railton (fresh from an album release this year with Modern Love), WIDT & Christoph de Babalon (who released their first album together this year also) and rkss (whose latest album of EDM sample pack-based experimentations arrived via Lee Gamble's UIQ). Also featured on the list are Bear Bones Lay Low, Resina, Astrid Sonne, Violet, Peach, Hatis Noit, Clara!, Lutto Lento and Oceanic. A number of the festival involved in the SHAPE initiative helped to put the list together and many of the acts picked will play at those festivals through 2019. For more information, and to check the full list for 2019, head here.